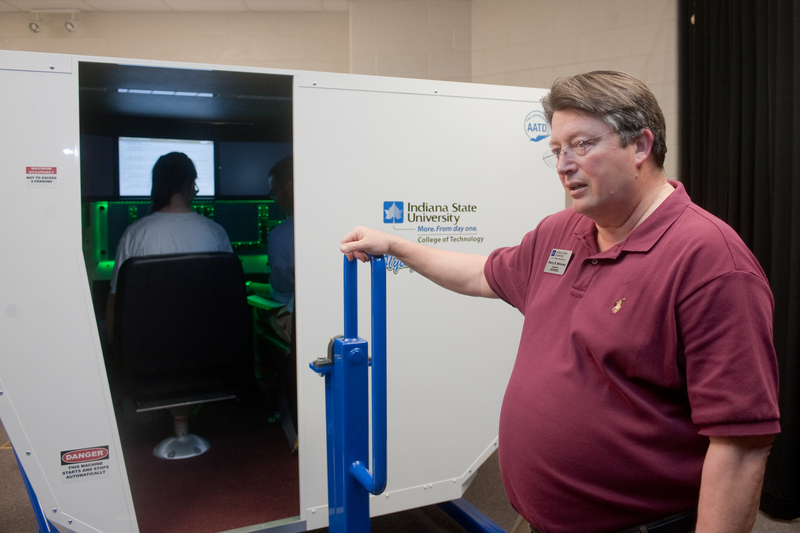 The aviation department at Indiana State University has purchased a comprehensive, full motion simulator to improve flight training for students and decrease what they have to pay for flight training. By using one of ISU's four flight simulators, students can develop the skills necessary to fly the aircraft and process complex situations they will one day face. Harry Minniear, chairperson of ISU's aviation technology department, said one of the big advantages of the new simulator is that it accurately replicates the conditions pilots experience in the air. The Redbird simulator's "glass cockpit" - LED computer imagery that surrounds and allows a pilot to monitor aircraft systems on six screens - replaces the traditional gauge panels found in older models of aircraft. It's the same sort of technology students will face when they sit at the controls of modern aircraft, Minniear said. "It's got a state of the art visual system in it," Minniear said. "This is about as real as it gets without sitting in an airplane." The new simulator also allows students to navigate and communicate via radio while monitoring the aircraft. Flight instructors have the ability to manipulate the aircraft by simulating malfunctions, and the flexibility of the machine gives students practice in a variety of situations. "It's very realisitic," he said. "It offers a type of training that we haven't been able to have here at ISU in the past." Corrine Rotan, director of marketing and sales for Redbird Flight Simulations, Inc., said the Redbird simulator was approved by the Federal Aviation Administration in 2008. 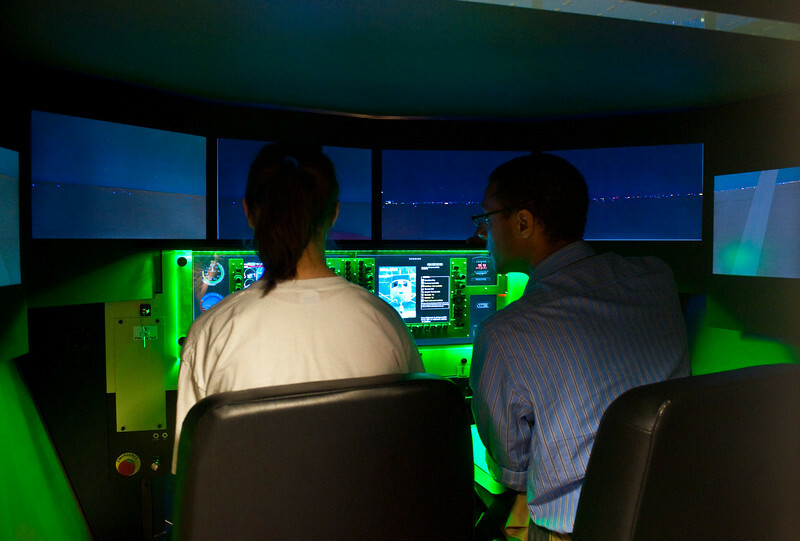 This type of simulator is being used by approximately 10 other universities, she said, and the biggest advantage is that it truly prepares students to fly before they ever step into an aircraft. Flight students will have the opportunity to train between 10 and 15 hours in the simulator before they graduate, Minniear said, better equipping them to smoothly transition into the newer types of aircraft where they'll see similar controls. "Technology changes so rapidly that we want to stay on the leading edge," Minniear said. "We want to be able to offer the type of training that the industry demands of our graduates. So this not only helps do that, but can also help us in recruiting students to the program." Contact: Harry Minniear, Indiana State University, aviation technology department chairman, at hminniear@indstate.edu or 812-237-2641. Writers: Lana Schrock and Rachel Wedding McClelland, Indiana State University Media Relations, at 812-237-3790 or rachel.mcclelland@indstate.edu. ISU's aviation technology program has another tool at its disposal to assist students in receiving the training they need.